Arp is a small town in Texas. It was named in 1899 for newspaper editor, William Arp. In 1914, there were 400 hundred mostly farmer folks in Arp. These farmers specialized in the 'Arp Beauty', a peach they developed. 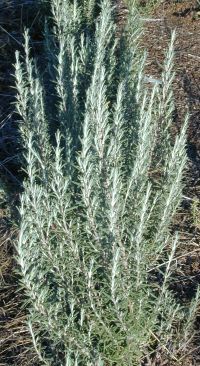 Today, the town of Arp has about 800 folks in it, and some very hardy Rosemary. Incidentally, Madalene Hill, the namesake of our other cold hardy Rosemary, Madalene Hill Rosemary, was responsible for discovering Arp Rosemary. This plant is often available in plug trays. These trays hold 128 of all the same plant. They are a great low cost way to fill a lot of space. Each cell is 3/4 of inch by an inch. Check here to see if Arp Rosemary Plug Trays are available.